This 230-pc. mechanic's tool set has what you need for most any job, from any project as complicated as spending the day under the hood to a task as simple as tightening bolts. These tools are made of strong, durable alloy steel and, with the exception of the screwdriver bits, they're backed by a lifetime warranty. They come in an array of sizes and measures that will ensure that you always have what you need on hand. The Craftsman 230-pc. 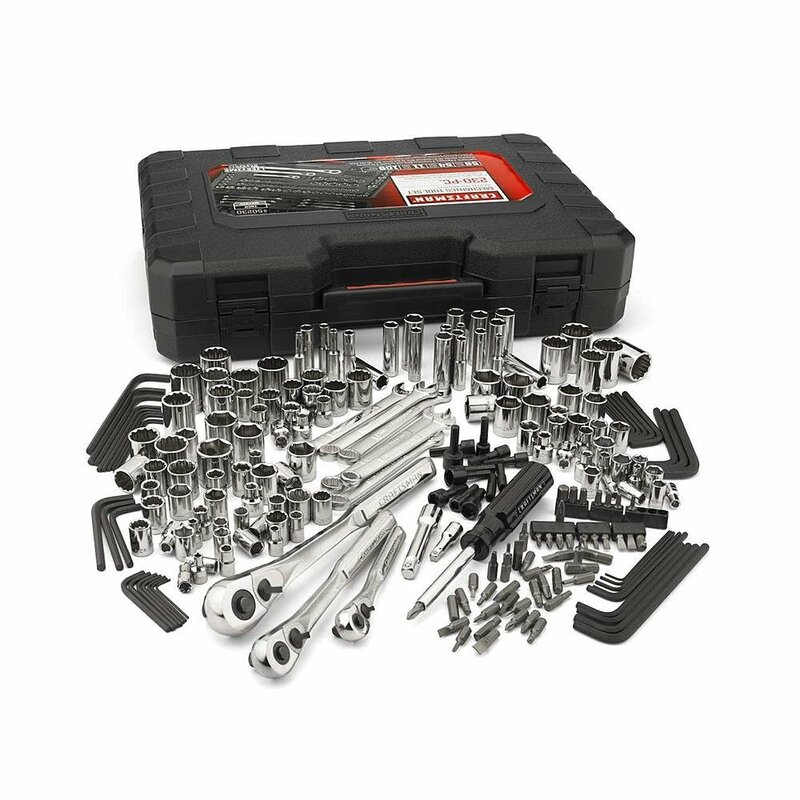 mechanic's tool set includes three quick-release ratchets in the most common drive sizes, along with expansion bars and universal joints to extend your reach. There are 116 sockets, 6- and 12-point, in both standard and metric. An array of six combination wrenches let you slip in where the ratchet won't go. A magnetic handle with 12 nut drivers and 40 screwdriver bits gives you quick power and versatility. A selection of 40 hex keys completes the set, which stores easily and neatly in the case that's included.